About a dozen parents and medical marijuana activists gathered in the nation’s capital recently to share horror stories and advice on how to shield families from authorities who wield the power to take away their children. State marijuana laws are increasingly common in the U.S., but protections for parents who legally use the drug as medicine or administer it to their children are missing, panelists and audience members at the event said. Roughly half of states currently allow medical marijuana – four of them also allow legal recreational pot use – and a handful more allow use of cannabidiol (CBD), a compound thought to have medicinal benefits that doesn’t produce a high. 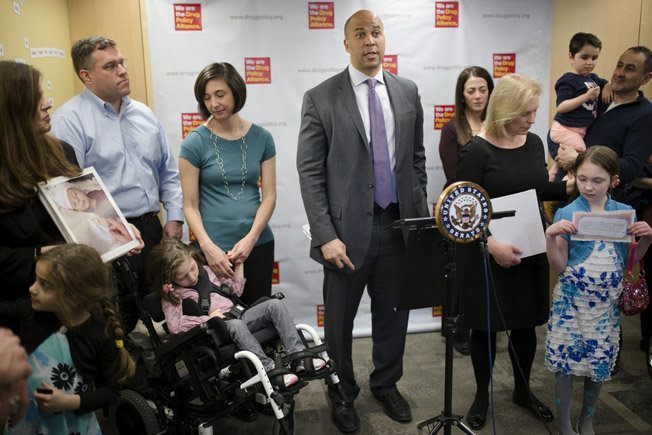 Maria and Steve Green of Michigan, where residents approved a medical pot law in 2008, shared the well-reported story of officials taking away their 6-month-old daughter, Bree, in 2013. In California, the first state to set up a medical marijuana program in the 1990s, a couple sued in 2013 after their children were taken for a year because the father, a veteran, allegedly used the drug for medical purposes near them. Another California couple sued, alleging their son was sexually abused in foster care after he was taken from his San Diego home when a raid recovered pot his father says was grown for medicine.